Peter is making clear that his faith in Jesus didn't just begin with Jesus. It began with the Patriarchs, the great Jewish fathers. 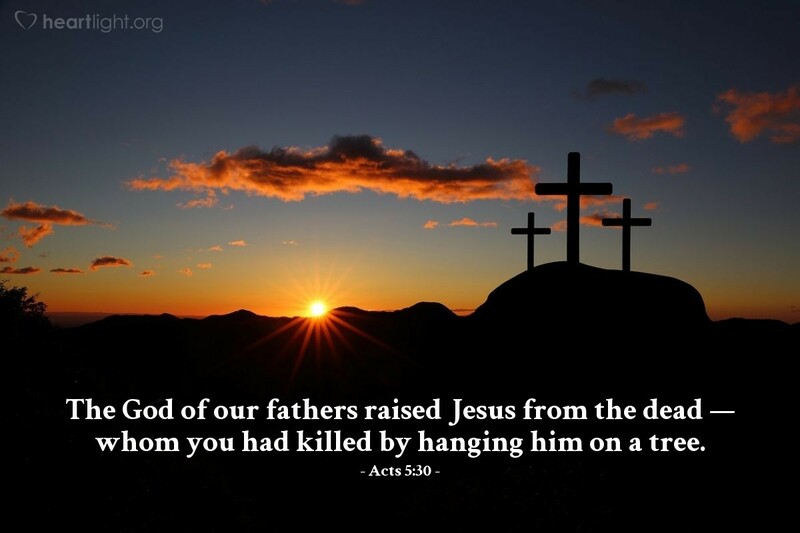 The God who blessed them also raised Jesus from the dead, even though Jesus had been executed in the most heinous and degrading way possible for a faithful Jew — he was nailed to a cross, something that was both illegal and a sign of being cursed under Jewish Law. He raised Jesus from the dead and exalted him and made him our Savior and our Lord. Praise God! Thank you, dear Father, for showing your power over evil, sin, hate, jealousy, and death. In the name of Jesus, my Lord and Savior, I offer my praise and thanksgiving. Amen.